Note: Before I begin, I’ve updated my beauty blog sale! There’s a whole hoard of items from Origins, Benefit, YSL, NARS and many more – please go and check it out! 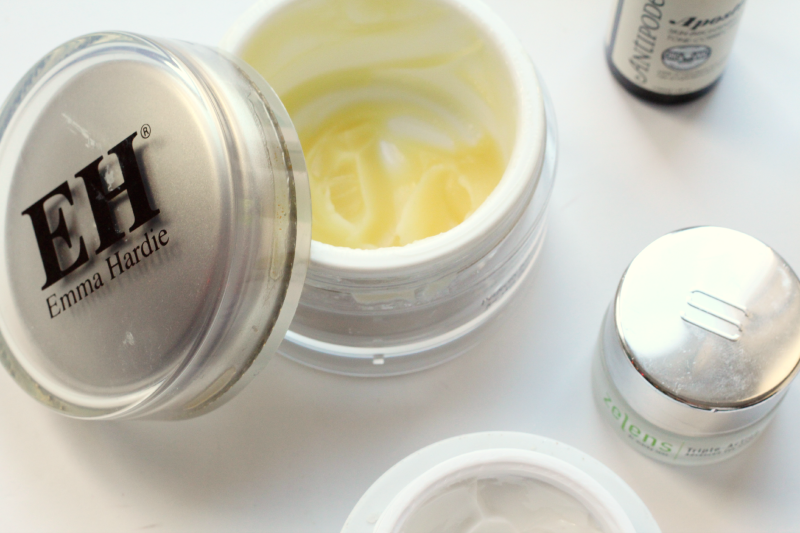 Starting with a cleanser, which I think actually appeared in my last yearly favourites post, the Emma Hardie Moringa Cleansing Balm has been my number one choice throughout the year. Infact, it’s the only cleanser I’ve used as a first cleanse on a night all year long. It smells divine, really cleanses skin/removes makeup and softens, leaving it radiant and comfortable. A product I’ll repurchase time and time again! Next is a toner in the form of the First Aid Beauty Radiance Pads. Now, they might not be something I’ve used all year round, but sweeping one of these across my face 2-3 times a week has definitely improved my skin. They seem to help with those little blemishes that don’t come up properly, while making your skin feel smooth. Definitely worth the purchase and I’m glad I did! For eye cream, the Zelens Triple Action Advanced Eye Cream has been the best thing I’ve ever bought. I have very dark circles and this has been the only product to lighten them, improve my whole eye area and hydrate so my makeup goes on smoother. I’m literally devastated I’ve used the whole tub, as my eye area has definitely got worse so will be picking up a new one asap! I’ve got back into using my Antipodes Apostle Skin-Brightening Tone-Correcting Serum* religiously on a morning over the past month or so, and I remembered how much I love it. It does genuinely brighten the skin and give it a more even appearance, which is something I always look for as my skin is quite dull. It has a lovely scent and sinks in super quickly, so you can get on with the rest of your routine. As for moisturiser, I’ve been torn between a few throughout the year, but on a nighttime I have been adoring the Elemis Tri-Enzyme Resurfacing Night Cream*. It’s hydrating enough not to overpower my combination skin and does make a big difference to the clarity of it overnight! The tub is quite big too, so it lasts a long time. 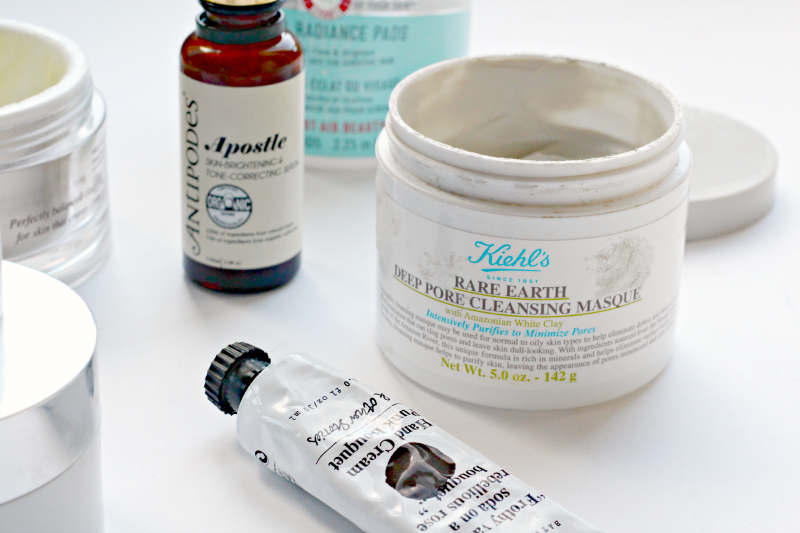 Ignoring the scruffy packaging, the Kiehl’s Rare Earth Deep Pore Cleansing Masque is possibly my favourite all time clay mask. It’s lasted me so long and I’m barely half way down, which for the price makes it a bargain. It isn’t overly drying, but really takes all of the rubbish out of your skin, leaving it brighter and clearer! Finally, although it isn’t skincare, the & Other Stories Punk Bouquet Hand Cream is such a gorgeous product. I love & Other Stories beauty products, as their scents (especially Couture Carnival, Fig Fiction and Lemon Daydream) are dreamy. The hand creams work really well too as they’re hydrating but not greasy – so worth the measly £4 they cost! 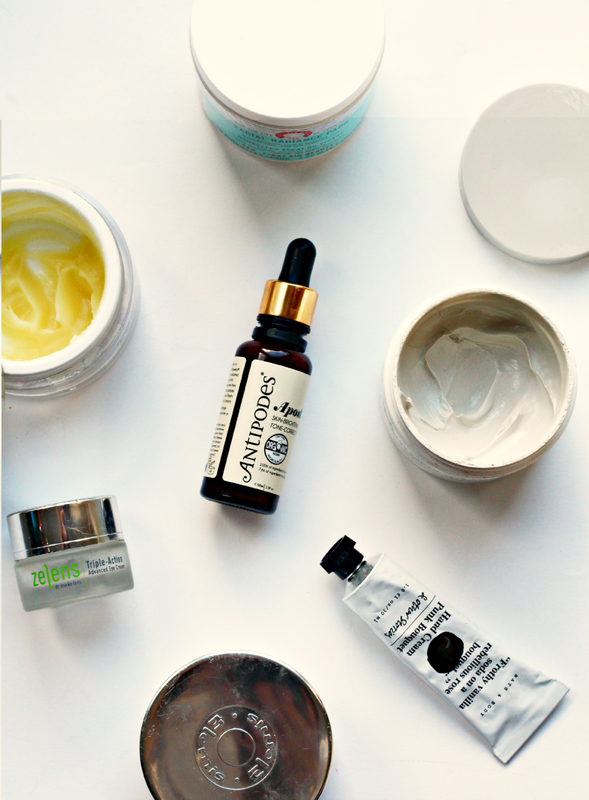 What products have you loved throughout 2014? ps. Check out these two lovely blogs: Cherry Pie and Sugar Darling!